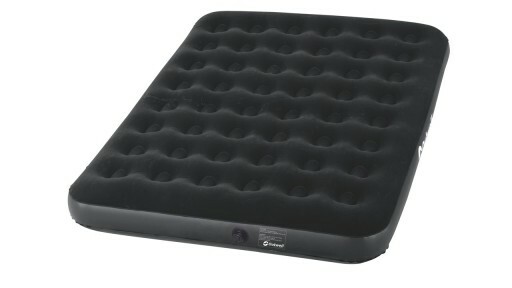 The Aerobed Deluxe Sleepover is a single mattress height bed that fully inflates in less than 30 seconds. 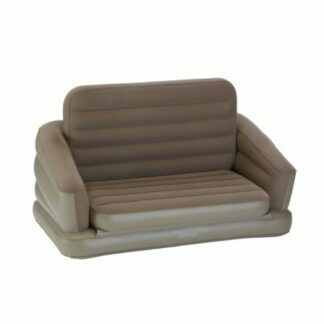 Durable heavy gauge construction. 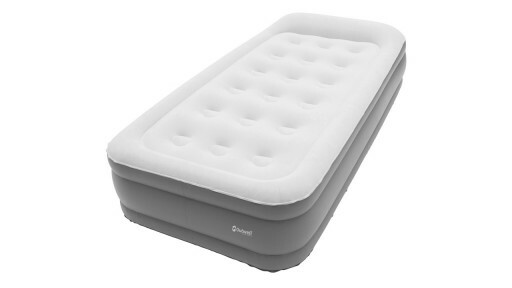 The Coleman Comfort Bed Compact Double has two chambers that provide individual comfort control allowing each sleeper independent firmness. 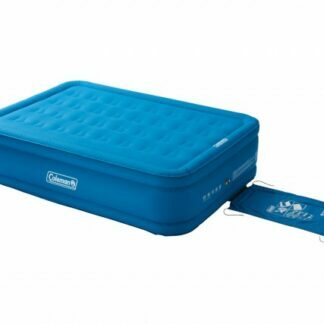 The Coleman Comfort Bed Compact Single has special PVC, that provides a more puncture resistant airbed. 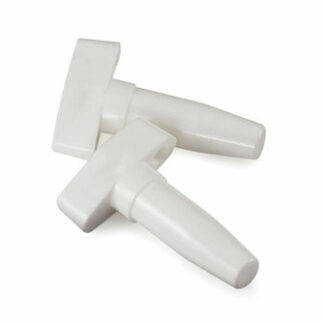 Two valve sealing points guarantee a leak-free product. 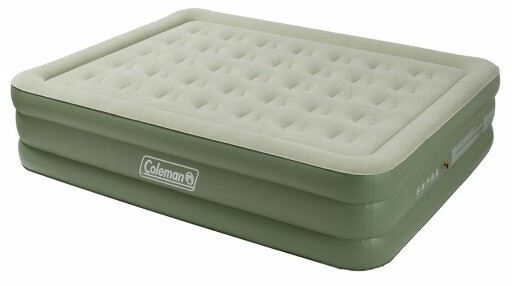 The Coleman Comfort Bed Single is single airbed combines comfort with safe durability for peace of mind. 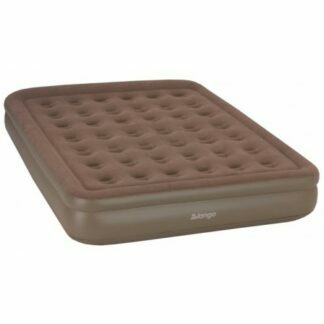 This bed has a reduced amount of phthalates, making it kinder to the environment and kinder to you. 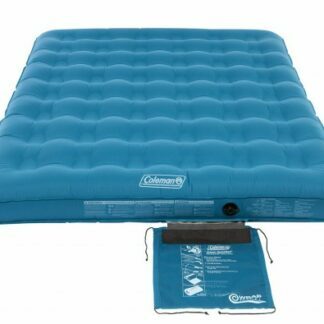 The Coleman Durarest Double Airbed is designed to be more durable, stronger yet lighter than existing PVC beds, with carry bag attached to the Airbed. 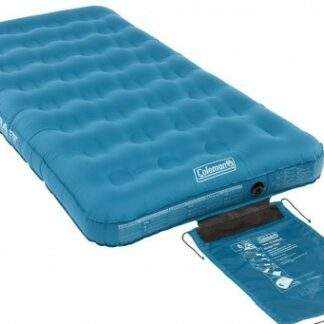 The Coleman Durarest Single Airbed is designed to be more durable, stronger yet lighter than existing PVC beds and a Wrap ‘N’ Roll carry bag. 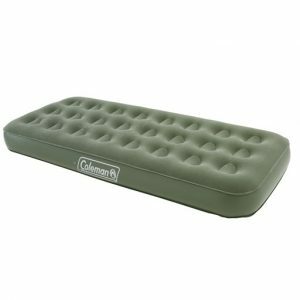 The Coleman Extra Durable Raised Double Airbed is designed to be more durable, stronger, yet lighter than existing PVC beds. 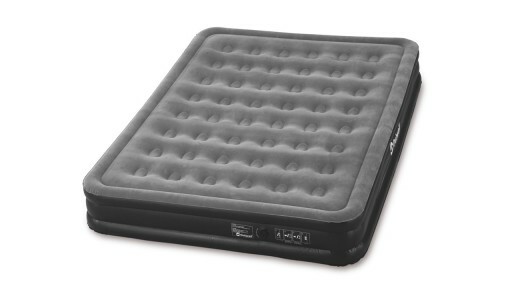 The Coleman Maxi Comfort Bed Raised King Airbed has generous dimensions and a supportive coil structure that offers a comfortable night's sleep. 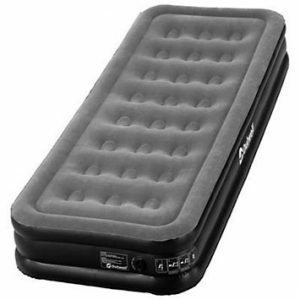 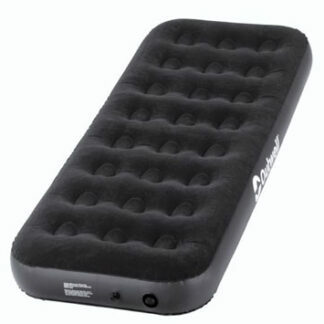 The Outwell Flock Classic Double Airbed is a popular all-black airbed made using quality, hard-wearing PVC with a soft velour surface for a comfortable night's sleep. 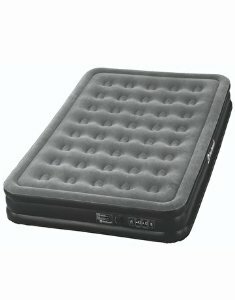 This popular all-black flock is made using quality, hardwearing PVC and a soft velour surface upon which to sleep. 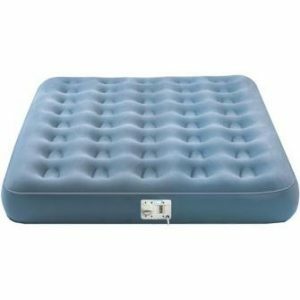 The double seal valve provides easy inflation and deflation. 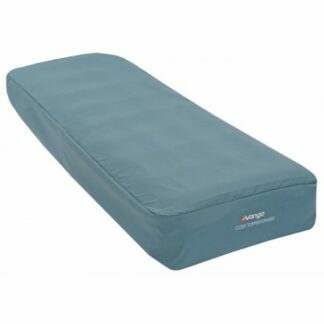 This is a great bed where comfort and support are key to a restful night. 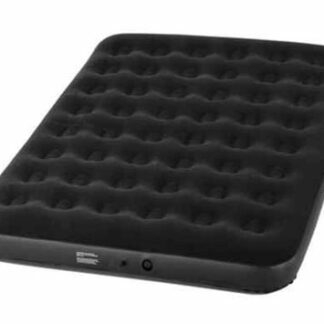 The Outwell Flock Classic Single Airbed is an all-black airbed made using quality, hard-wearing PVC with a soft velour surface for a comfortable night. 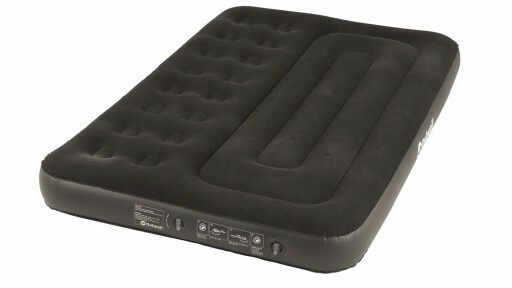 The Flock Classic Two Chamber Airbed is part of the popular all-black flock range of airbeds from Outwell. 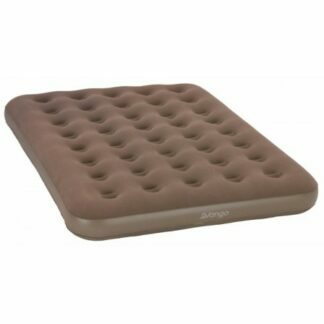 Made using quality, hardwearing PVC and a soft velour surface for a comfortable nights sleep. 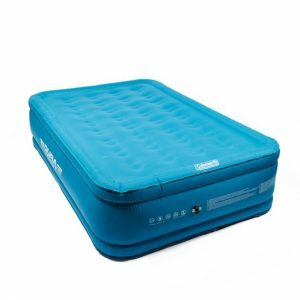 The Outwell Flock Excellent Single Airbed comes with a stabilising edge construction as well as soft velour top material to provide superb comfort and a great night's sleep. 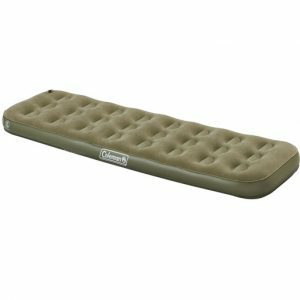 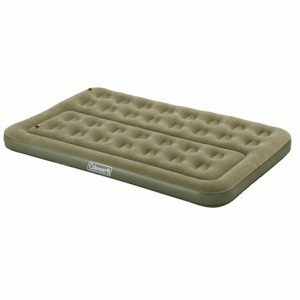 Outwell Flock Superior Single Airbed with Built in Pump The 3-layer Flock Superior features a built-in pump for convenience; the pump comes with a plug for power. The Flock design allows campers to sleep well clear of the ground and Flock Superior takes that height up to 50cm not only offering outstanding insulation and sleep comfort but also make getting in and out of a sleeping bag much easier. 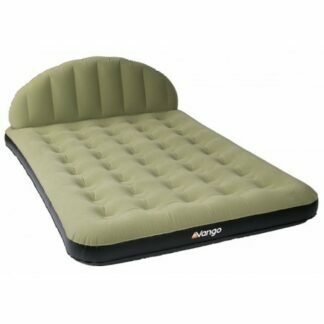 The Vango Hi Rise Double Flocked Airbed is great for all outdoor lovers, yet is specifically designed with taller campers in mind. 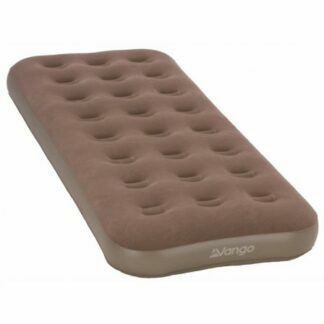 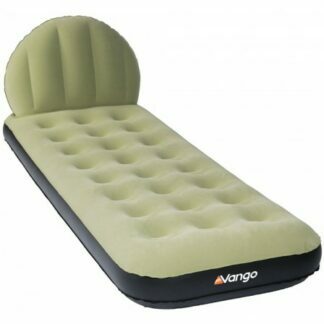 The Vango Single Flocked Airbed can be used at anytime from sleep-overs at home to camping out in the elements.